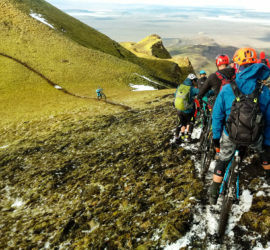 Your guide will pick you up in the morning at your hotel in Reykjavik. After a quick trip to our local office we begin the tour with almost one hour drive to the starting point of the first ride. 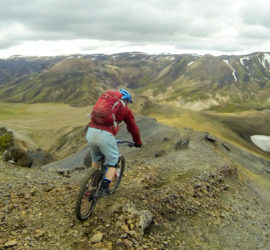 We never get enough of riding the trails in this mythical area of the Icelandic highlands. 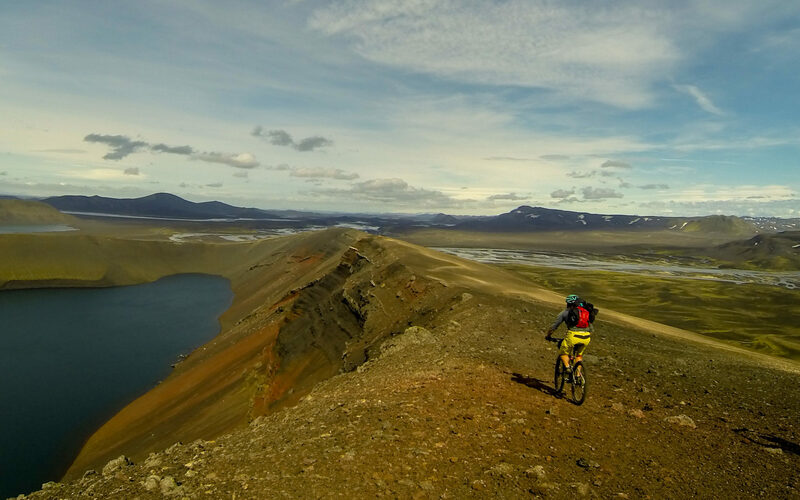 The landscape keeps changing before your eyes as you bike further: endless moss-covered lava fields surrounded by black volcanic wasteland. The last track of the day will lead straight to our hut, placed in the middle of nowhere. The dinner will be served with the supervision of your guide. 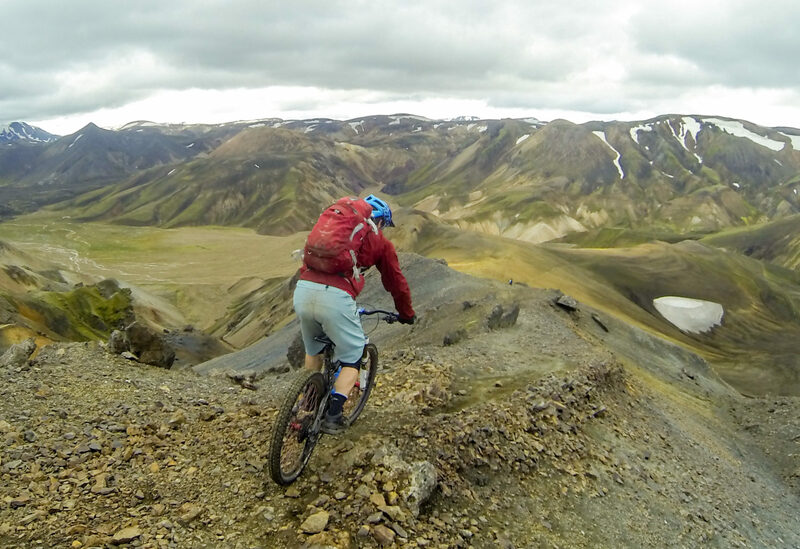 The stunning area of Landmannalaugar, famous for its palette of pastel colored mountains is the home of the most epic single tracks trails in Iceland. The word “undulant” is probably the best one to explain what characterize the rides here. 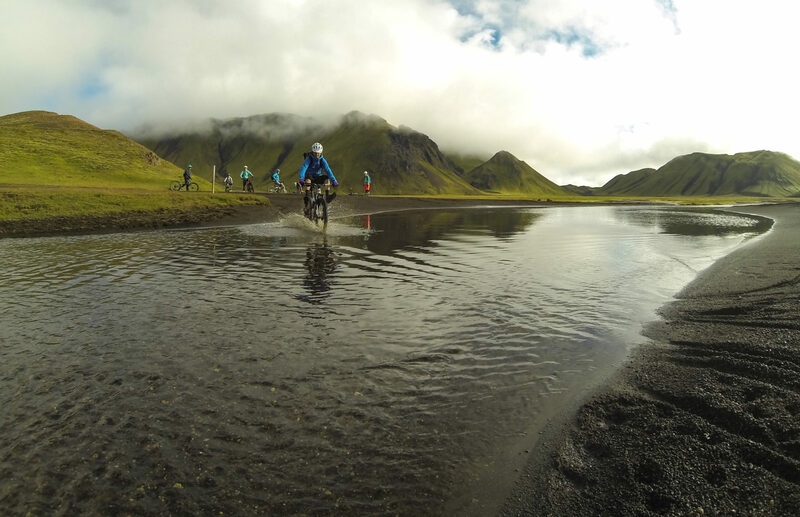 We will have multiple 100 – 300m climbs and some shorts hike-a-bike sections during the day. We will end the day by a soak in a warm natural pool. On our way back to Reykjavik, we will stop by Ölverk Restaurant in the village of Hveragerdi, known for their home-brewed craft beer. A stop to taste those local products is something we just can’t pass up. There is always possibility of alterations to the itinerary, here above, as weather or terrain conditions dictate. This is for your own good to improve the trip quality and ensure that we choose the best ride that suits each day. Price is based on the total number of riders, and changes in proportion to the group size. 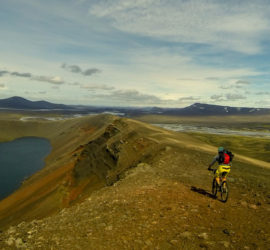 Bike rental: A quality dual suspension mountain bike and a helmet (Specialized StumpJumper or similar) is available for this trip for 20.000 ISK per person for the two days. Only for private groups: From 2 - 6 participants. 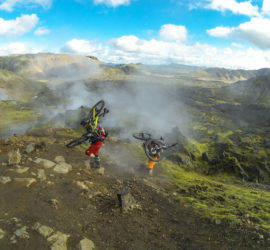 Level: The technical ability required for the Single Track Madness is rated as challenging for advanced riders used to physically demanding routes. Fitness level: The adventure level is high on this trip. As you know, the fitter you are the more fun you'll have. This trip through remote landscape is strenuous at times. 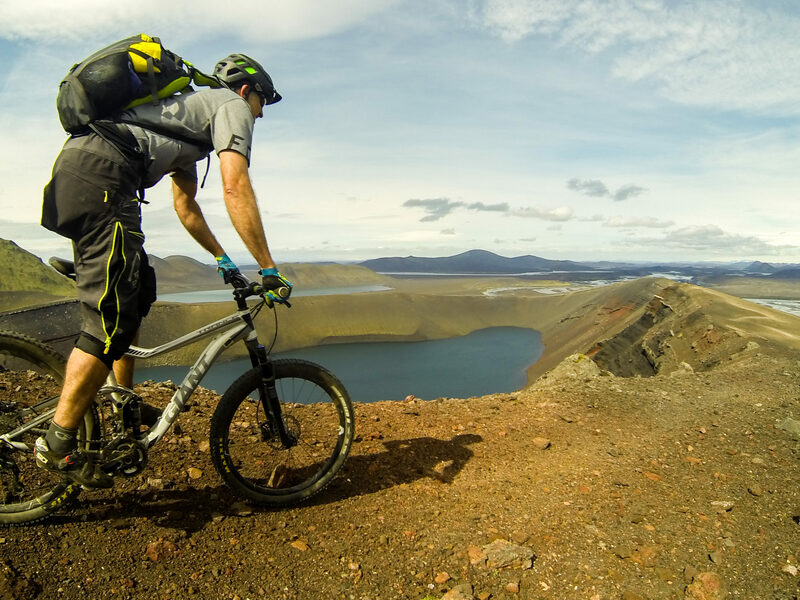 Bike and equipment: For this epic adventure we provide, Specialized Stumpjumper, all-mountain dual suspension bike with disk brakes. 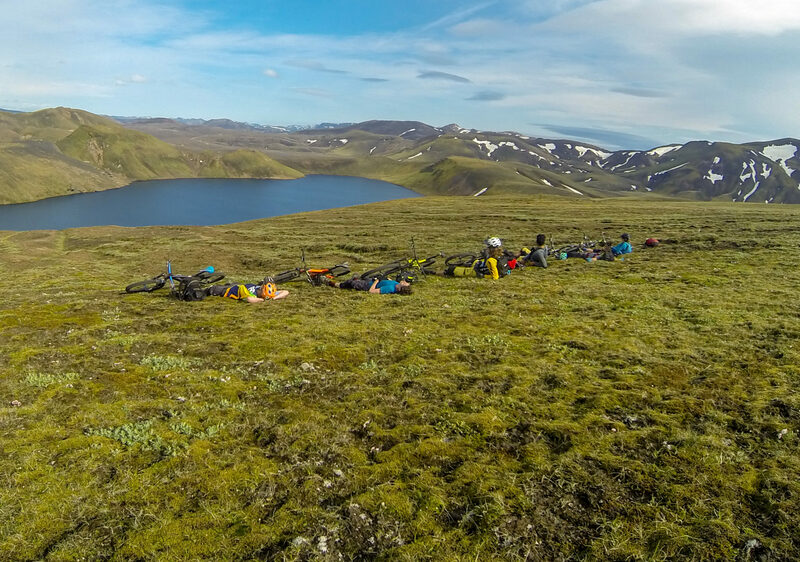 If you bring your own bike you are required to have it in excellent working order before the trip begins. You also need to bring couple of tubes with you and at least one set of brake pads (organic are better here than sintered as they don’t overheat) and keep them in your pack along with a spare mech hanger and any other specialist tools or spares specific to your own bike. Your safety: Our trips take place in remote regions where limited evacuation options are available. 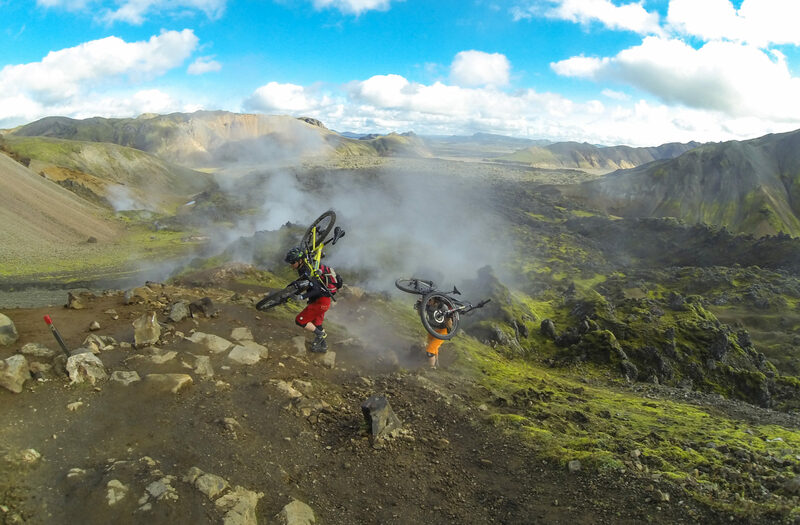 Bear in mind, there are always risks and hazards on the trails that we ride. 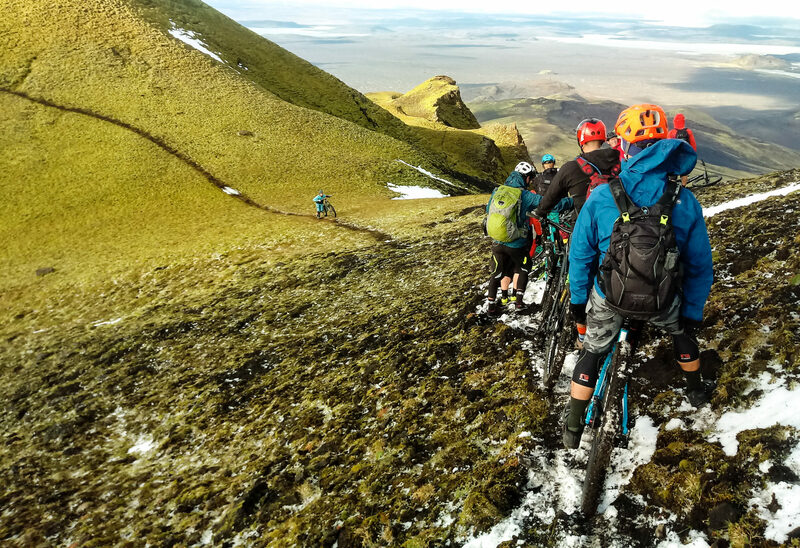 If you choose to participate in our trips, it is up to you to ride well within your limits, to ride conservatively and to be safe as mountain biking is a dangerous sport. 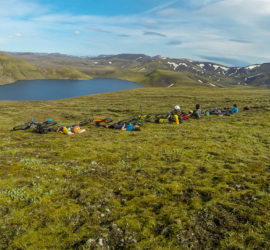 Participants must keep their bikes in good working condition; they must be hydrated and rested and alcohol and drugs are not permitted while riding. Our guides have basic first aid training and if a serious injury is suspected they will call for a helicopter search and rescue at the cost of the participant. Personal medical travel insurance is mandatory. 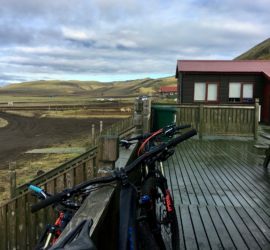 The mountain huts are in remote and authentic lodge located in special remote location. The group stays together in the same section with shared bathrooms, include running water, restroom facilities and shower. The rooms vary from smaller six-person rooms to rooms that will accommodate the whole group (and sometimes others). You need to bring your own towels and sleeping bag. 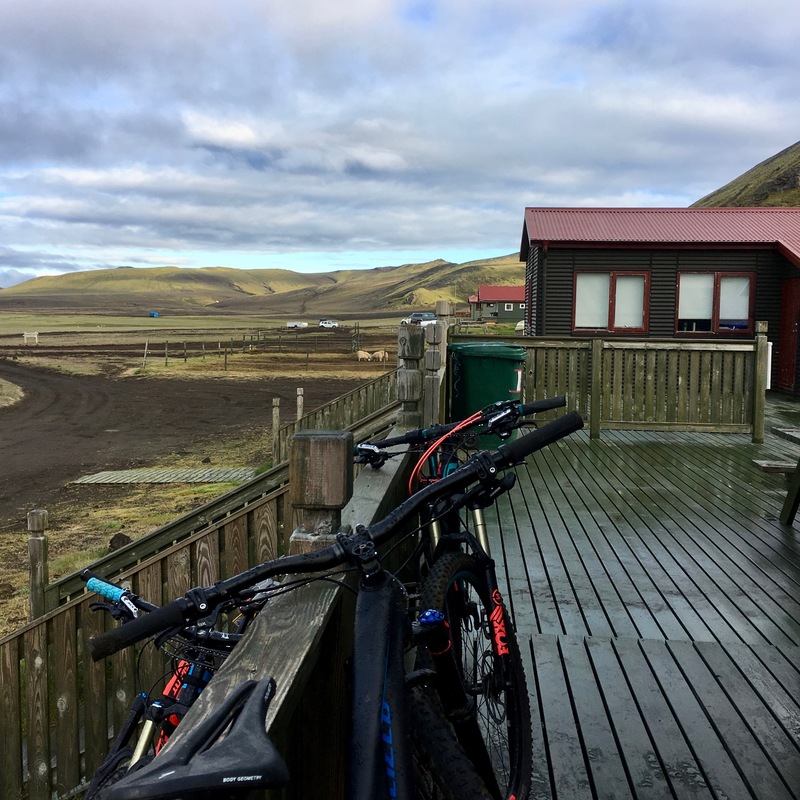 It is not always possible to charge the batteries / phone / cameras in all of the huts. The best is to bring an extra battery or a charger with you. In case you need to charge your phone, it is possible that you will be charge around 500 ISK for each item by the guardians. A very copieus breakfast is served in all our tours. An example would include porridge, dry cereal, bread, smoked salmon, eggs, cheese, fruits, yogurt, juice, milk, (good) coffee and instant tea. For lunch we bring along a delicious energy filled picnic in our backpack, that we can enjoy whenever needed during the rides. Sandwiches with diverse meat/salmon, salad, tomatoes, cucumber, other vegetables and diverse cheeses. Dried fruits, snack and coffee/tee for your (optional) thermos. The dinners are made with fresh Icelandic product served with potatoes or rice and cooked vegetables. In this tour it is normally the catch of the day (Cod, Haddock, Halibut or Salmon) or a traditionally dressed whole leg of lamb. After dinner we offer a gourmet dessert and a evening snack. Please let us know in advance if you have any dietary concerns. Biking distance: ~15 - 25 kilometers pr. day. 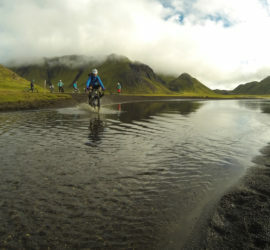 Climate: Iceland can be chilly, even in summer. Expect nights to dip down to below 10°C ( 50°F) and days to warm up to 15-20°C (60-70°F) and warmer. In mountains, weather can change quickly and drastically and rain is common. Participants need to be prepared for a wide range of weather. The Next Steps: Once your online registration form has been received we will send you a confirmation in form of a ticket for the trip. 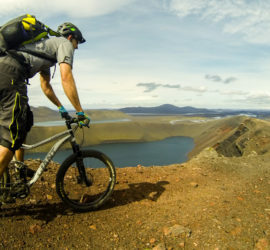 Please make sure you have read and understand our Terms and Conditions and do not hesitate to get in touch if you still have questions.info@bikecompany.is if you have any questions. WE ONLY CUSTOM-MAKE THIS TOUR FOR YOU!